Pickguardian » New Pickguardian T-Shirts! Our new T-Shirts are ready for you to order! 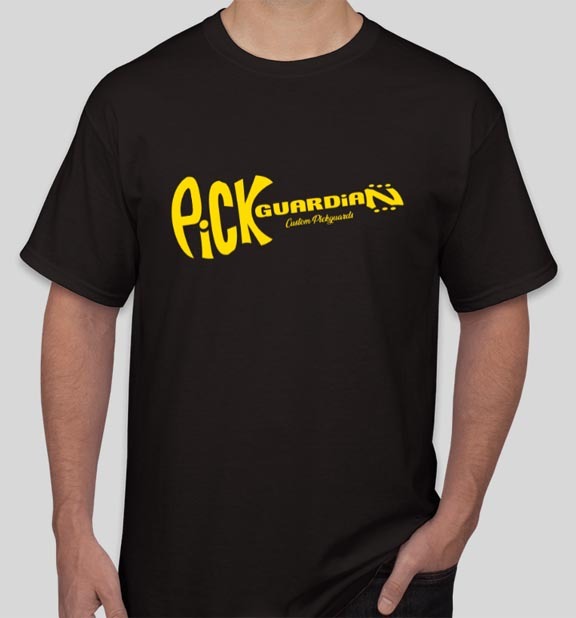 These are quality, 100% cotton Black T-Shirts with a Yellow Pickguardian “Rickenbacker” guitar-shaped logo. Available is S-XXL. Order yours today!